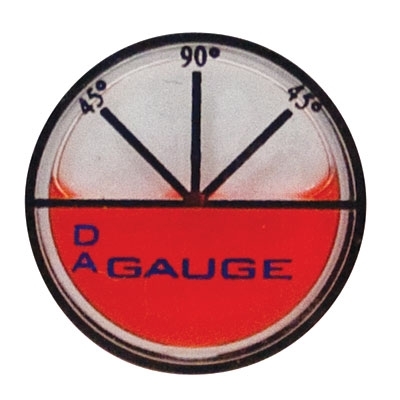 Buzz with Confidence... Da Gauge Makes Da Cut Straight! Any barber or stylist knows the fear of getting things straight with shavers, trimmers, and clippers. The slightest goof and well, things are not looking too good. There is a confidence building solution -- Da Gauge. Da Gauge is a precision controlled device that attaches to shavers, trimmers, and clippers that takes the guess work out of making that "perfect line". It is simple enough in principle, it is a tiny (dime sized) fluid filled level with degree markings on it. It sticks on to your shavers, trimmers, clippers and it gives you a great reference as you are buzzing. There is a reason builders use levels during construction... they help ensure things come out right. Da Gauge does the same for building the perfect clipper cut!